Main » 2011 » October » 15 » Dear tankmen, this weekend you have a wonderful chance to upgrade your tank for low price. Dear tankmen, this weekend you have a wonderful chance to upgrade your tank for low price. 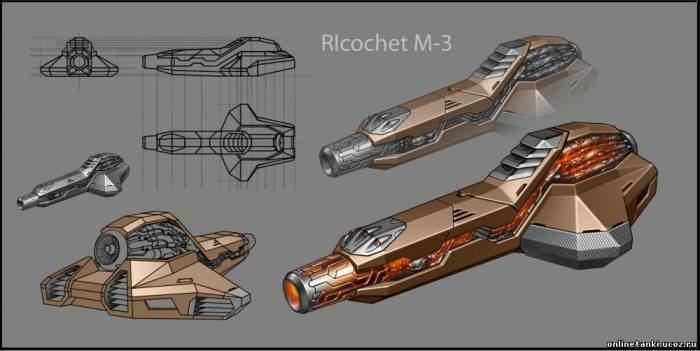 From 10:00 (UTC +4) of Friday, October 14 to 10:00 (UTC +4) of Monday, October 17 you can buy the Ricochet gun 25% cheaper. Discount is valid for buying a new gun as well as for upgrading it to M1, M2 and M3. It means, that buying the gun you save 162 crystals, upgrading to M1 you save 500 crystals, with M2 - 1500 crystals and with M3 - 4500 crystals. In total you can save up to 6662 crystals!